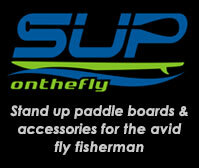 Now that we flipped the calendar to March, it’s time to make sure your fishing gear is ready to go. More than symbolic, March is proof that winter is almost behind us and better weather and good fishing is just before us. The recent warm-up and sunny days are more than welcomed providing comfortable fishing conditions and increased water temperatures. Steelhead anglers will find the Manistee and Betsie both have some fish in it. Be prepared to move around and fish not only the big, deep holes but the smaller slots and depressions too as we are sharing the water with more people now that the weather has warmed up. With the clear skies at night comes the cold so look for the late morning and afternoon bite to be a little stronger as the sun has its way with water temperatures. Lots of small black stones are crawling around and with the clear water conditions, be sure to knot one to some lighter tippet/leader for your best chance at hooking up. Other patterns to use include caddis, alevins and smaller egg patterns in lighter shades and spectrums. Mix it up if you aren’t finding success – try hex and bigger stonefly nymphs as they are becoming a little more active with the warming sun. The trout bite below Tippy Dam is fair with the occasional steelhead surprising the angler fishing with a 5 weight rod. Small stones, eggs, zebra midges and BWO nymphs have been working when fished below an indicator. If you are looking to streamer fish, retrieve your fly slowly – these fish are still partially hibernating. The Upper Manistee above CCC Bridge is running cool and clear. Streamer fishing is your best bet and rather than using sinking lines, try shorter sink-tips and strip slowly to keep your fly down while keeping your line from hanging up and use patterns that have lots of motion: rabbit strips and marabou are an angler’s friend. Look for fish to be anywhere – from the deeper holes (tail-outs) to mid depth runs with sunshine – they often can be found sunning themselves. The water is still cold, so temper your expectations a bit and enjoy the solitude. NOTE: Ted is offering a great winter fishing special of five hours of guided fly fishing and lunch for only $250 — available through March 15th. Also Ted will be teaching a fly tying class this Saturday, March 6 th at The Northern Angler in Traverse City. The theme will be flies for Pike, Musky and Bass, but with slight variation as you can use these same patterns for salmon, steelhead and trout. Class time is 10-Noon. Cost is $25 Call TNA @ 231-933-4730 to register.